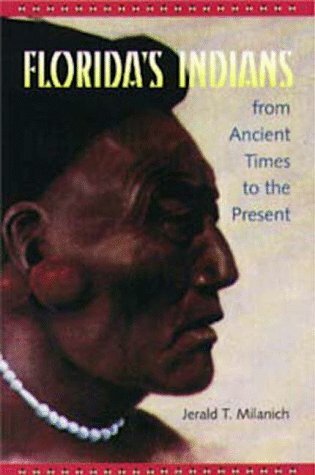 Integrating archaeological and historical information, this text tells the story of the native Indian societies that have lived in Florida for twelve millennia, from the early hunters at the end of the Ice Age to the modern Seminole, Miccosukee and Creeks. Someone once wrote "Research is seductive; writing is hard work." And that's generally the case, especially in archaeology where life in the field is usually packed with exciting discoveries while laboratory analysis and writing require a lot of effort (at least labs and offices are air conditioned). But sometimes writing, too, can be a joy. Take this book, for instance. I actually wrote it while in Rio de Janeiro, Brazil. [Academic life is not all stuffy!] My spouse, the family cultural anthropologist and Brazil specialist, received a Fulbright Senior Fellowship for six months of teaching and research in Rio. I went along to carry the luggage. In Rio we ended up living literally a block off Ipanema Beach and a short distance from the Garota de Ipanema Bar and Restaurant (where Vinicius de Morais and Tom Jobin wrote their song "Girl from Ipanema"). It was not a bad life. But I knew I would need a project; how much beach life can one person stand? That's when I decided to embark on a popular book on the Indians of Florida, a rich 12,500-year legacy. My daily routine was morning coffee, several hours of writing, lunch (always including beans and rice), a trip to the beach, then a few more hours at the word processor before an evening nap and then deciding where and what to feast on for dinner (dinner never commencing before 10 PM). The most difficult part of writing was trying not to look at the mirror in front of my small desk in which a small bit of the ocean was reflected. I often wonder if my many references to water in this book were shaped in part by my idyllic life next to Rio's beaches. I hope you enjoy reading this book as much as I enjoyed writing up. If nothing else, I know you'll appreciate my friend Ted Morris's painting of a Potano Indian man that is on the cover. Ted also did the paintings on the jackets of my books Florida Indians and the Invasion from Europe and The Timucua, both of which you can see on amazon.com.